Today’s assignment is: Bliss. We’re supposed to take a picture of something that represents bliss. And then, working within the WordPress platform, give the photo a title and caption. I have a ton of photos (that I’ve already taken) that could represent bliss. But I’m trying to take the photos for this course on the day of the assignment — it forces me to be more active with my camera. And hopefully, learn something new. African Violets will forever remind me of my Grandma Helen — I can’t remember a time in my life when I haven’t kept them around me. They make me happy. My grandma used to raise, propagate, and sell African Violets — at times she had upwards of 600 violets thriving in her basement. Grandma and I spent a great many hours together in her basement, while she taught me how to love and nurture African Violets. Grandma’s violets were always bathing in fluorescent light. It made them seem so happy and vibrant to me — like a symphony of color. So, this photo is intentionally under-lit by fluorescent light, and I’m really pleased with the way it turned out. And I think Grandma would be, too! 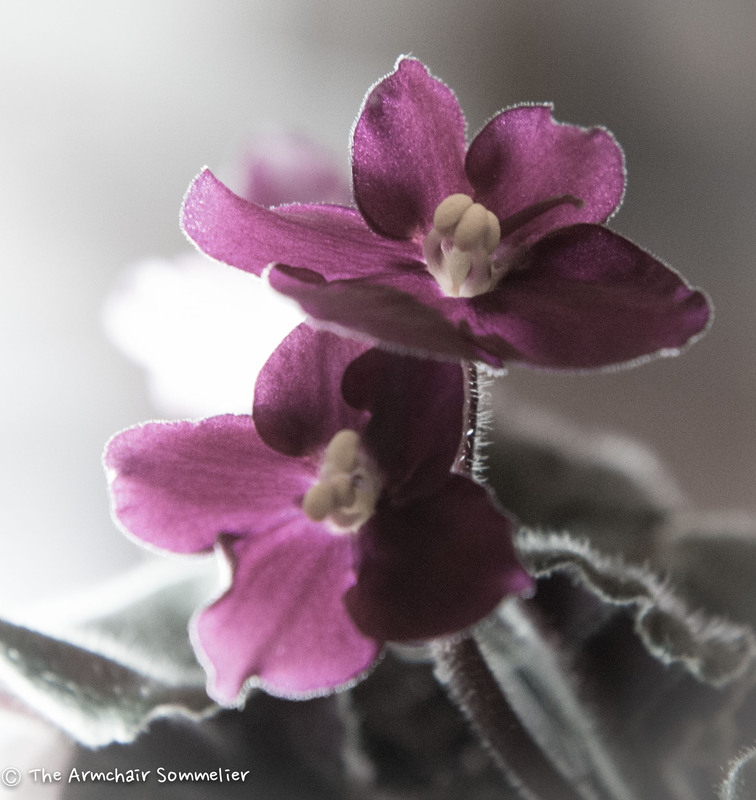 African Violets bathing in fluorescent light. And hey, I even got the caption to show up! I like your caption is better than mine . . . 😃! I think I’ll go back and change it! Thanks & Cheers! I love this one! My favorite of your challenge photos so far. Looking forward to more. Thanks so much . . . I’m having a lot of fun with this challenge. A great exercise for me. Cheers!! Incredible shot! The way you arranged your lighting gave the petals an almost translucent appearance. It had a stunning effect with the colors and the tiny hairs on the stems too. You made it look as if the violets were frosted. Thank you so much! I’m so glad you liked it . . . Cheers! !